Germany might not be big on BLACK FRIDAY, but we ARE! Starting RIGHT NOW and valid till TOMORROW (Friday the 25th) at midnight (Eastern Time)! You’ll get 40% OFF our Patterns on Etsy & Ravelry! That’s right! 40%! Greystoke Cowl & Point Made are both beautifully laid out PDF patterns, featuring a link to a very long video tutorial to help you out through every step! 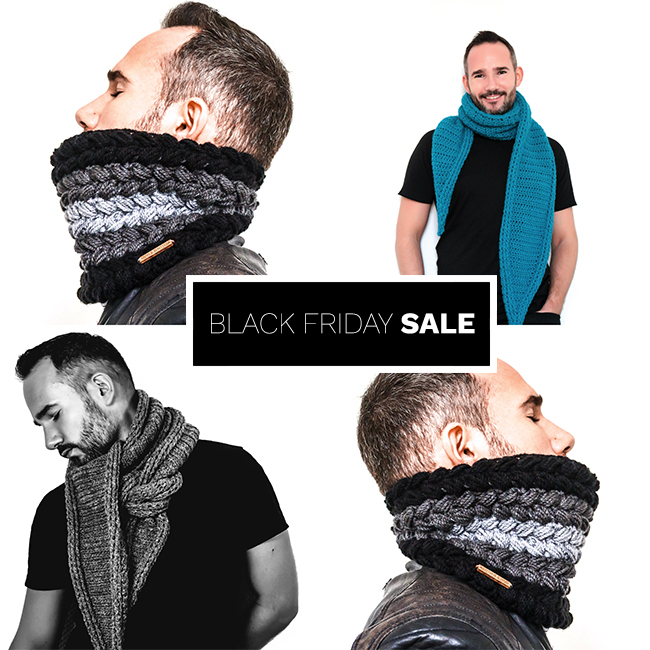 Feel free to share our big discount with your crochet addicted friends! Thanks for all your support and have a lovely day!